This is a two-day class, from 9 am to 4 pm on Saturday, and 9 am to 1 pm on Sunday. So you want to grow your own vegetable garden, but you need some help! No worries: this intensive 2-day course offers in-depth information and hands-on skill-building to make sure you have all your bases covered to grow a delicious spread, organically and in your back yard. 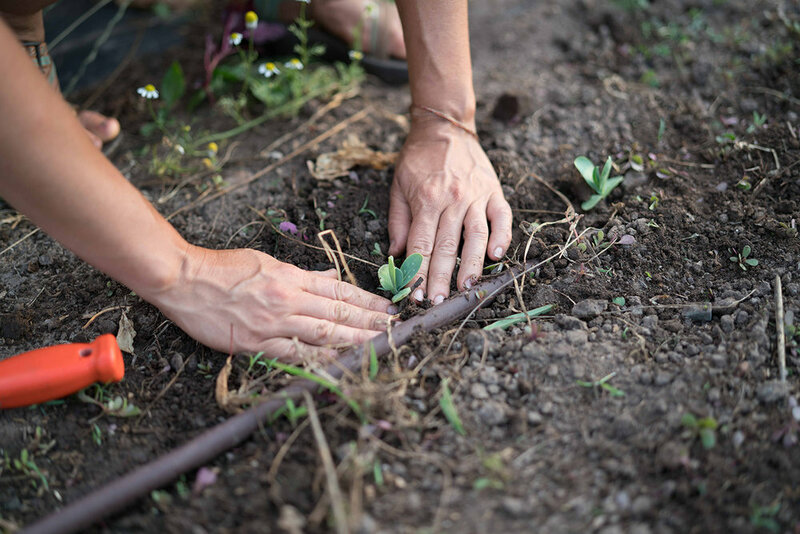 We’ll build a compost pile, prepare beds, start seeds indoors & out, put in drip irrigation, plan your season from start to finish, and learn how to extend and preserve your harvest. Bring your work gloves, grubby clothes, a sample of the soil from your garden site, and your sense of adventure! Includes lunch & cocktail hour on Saturday. II. Basic Crop Types: What’s a brassica? V. Season Extension: Keep the harvest going. Helen Skiba is the flower farmer and floral designer with Farmette Flowers, at the Lyons Farmette. This is her fourth year working and growing on the farm. Helen holds a Masters in Agriculture from Colorado State University, where she studied organic fertilizer efficacy in the Ecuadorian Amazon during her Peace Corps service. Helen loves growing strong, beautiful seedlings indoors, finding new solutions to weeds, soil fertility, and farm efficiency, making amazing compost with farm waste, and propagating succulents. Garrison Schulte has managed the Lyons Farmette venues and farm for 6 years. He can fix most things and loves teaching about the Farmette’s drip system and our hoop house. Garrison graduated from the horticulture department at Colorado State University.